VERNE, Jules. 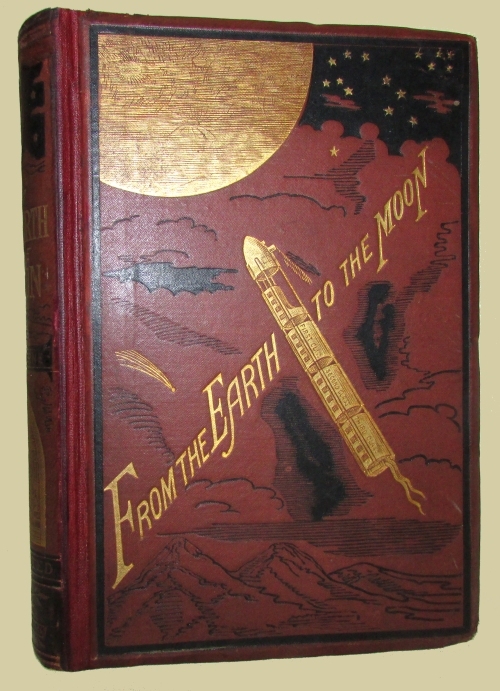 From The Earth To The Moon Direct In Ninety-Seven Hours And Twenty Minutes: And a Trip Round It. Translated from the French by Louis Mercier and Eleanor King. New York: Scribner, Armstrong & Company, 1874. 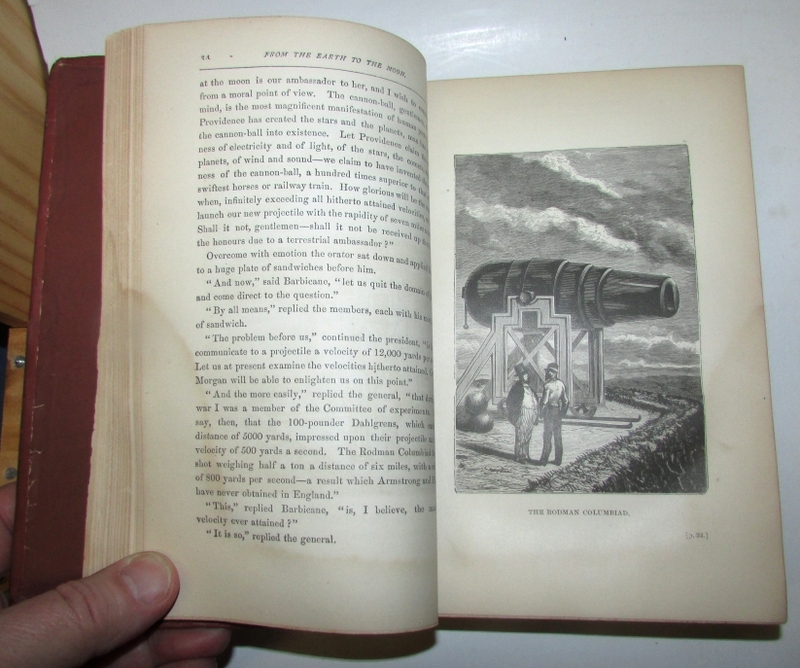 First hardcover edition and first combined U.S. edition. 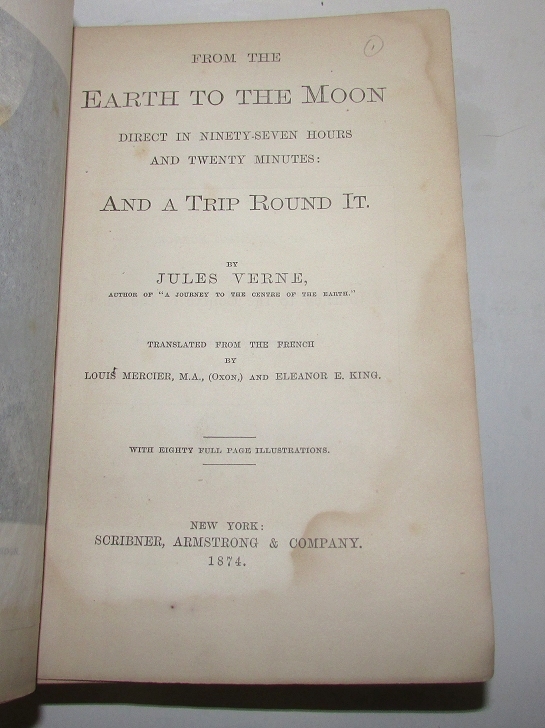 With the advert on the verso of the title with one title; “A Journey to the Centre of the Earth, $2.00.” 8vo., original rust cloth with pictorial decoration in gilt and black on the upper cover and spine, viii, 323pp. With illustrations. This copy has been professionally rebacked with the original spine laid down; the spine is almost fully in tact, although there is loss of about 1”x1 ½” at the foot affecting the imprint and someone has somewhat crudely tried to replicate the missing text and design; the design at the head of the spine also appears to have been touched up with ink. There is a dampstain which in the first half of the book is in the lower edge extending part way up the outer margin but becomes less pronounced about half way through the book.